El Motor is a French Canadian indie-rock band (from the members of defunct pop-rock group Trémolo) formed in Montreal in 2007. They ware signed with Vega music label. 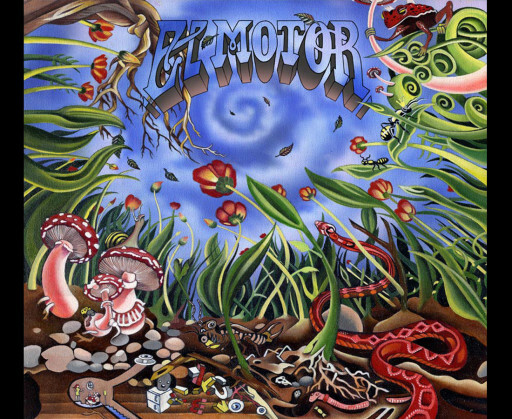 MTAF designed the band’s logo and did all their artwork for their first album “El Motor” released in 2007. 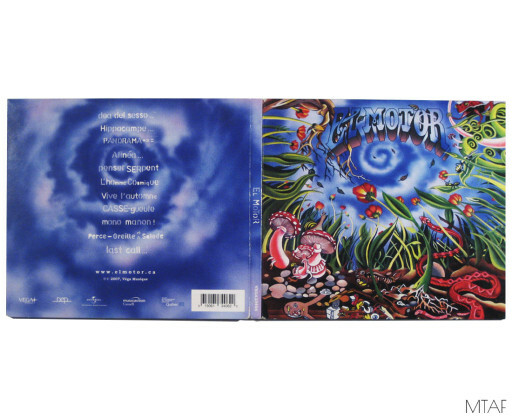 The cover is an oil painting (airbrushed sky) and the inside illustrations are the sketch for the painting. 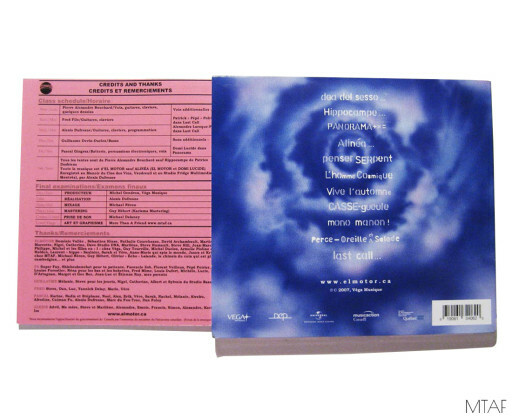 The booklet was designed to resemble an old skool Hilroy exercise book, a nice concept to deliver the written lyrics. 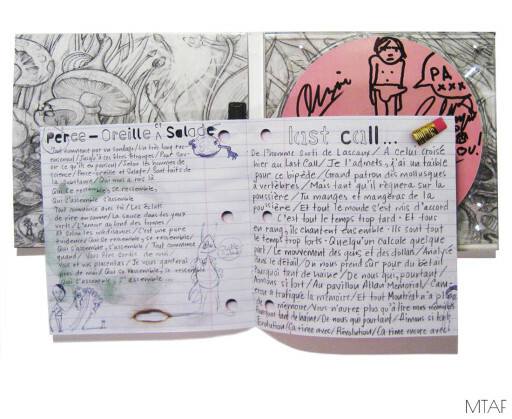 All handwritten in pencil accompanied by some of the lead singer Pierre Alexandre Bouchard’s actual drawings.